UNION CITY, Calif. -- Five people are in the hospital after gunfire broke out at a combination funeral home-cemetery on the Hayward-Union City border Thursday evening, reports CBS San Francisco. 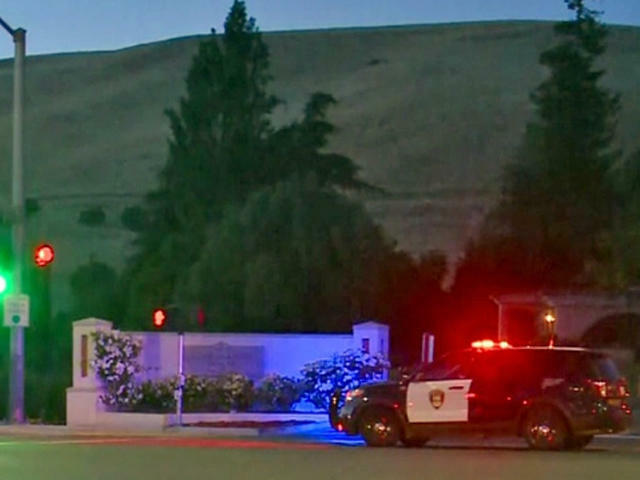 Union City police say they responded to reports of a shooting at the Chapel of the Chimes Memorial Park and Funeral Home shortly after 7 p.m. and found three people who'd been wounded. All were taken to local hospitals. Their condition wasn't immediately known. No other information about them was released. Police say two more victims were found as police were investigating. One was near the shooting scene and the other took him-or-herself to a hospital. Investigators said nothing more about any suspect or suspects or any possible motive. The circumstances surrounding the shooting were unclear, but authorities said it happened in the cemetery area. There were conflicting reports about whether a funeral, visitation or other event was going on at the time. Denise Pagan told CBS San Francisco, "As we were driving by the cemetery, I could see a cluster of people at a gravesite, and it was after seven, so it couldn't have been a funeral. So something was going on. And then, as we were driving by the cemetery, two people came running out from (a) parking lot just completely distressed … so something was really, really wrong." Kamille Varilla De Guzman told the station, "The funeral director told us to stay inside because there was a shooting, something related to gang activity, and so we were on lockdown for at least an hour."